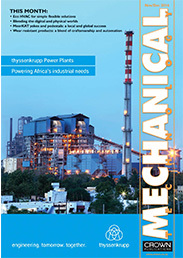 VEGA Controls and its 80 GHz radar level sensing technology is featured on MechChem Africa’s the outside front cover for April and the associated cover story unravels the retrofit opportunities this technology offers. 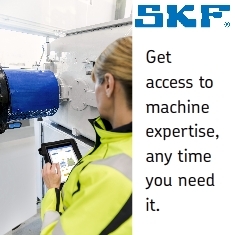 A look at SKF’s bearing and seal solutions for tunnel boring machines opens our Power transmission feature; Festo’s I4.0 leads for Hydraulics and Pneumatics; a competition win that uses SICK Automation’s LiDAR sensor is the focus of Automation and CAE; while Petra Diamond’s thyssenkrupp AG mills and HPGRs at its revitalises Cullinan Diamond Mine is the highlight feature article for Mineral’s processing. 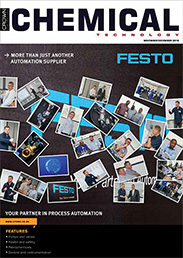 Other companies featured in this issue include BI, Hytec/Bosch Rexroth, BMG, Rand Air, Altair, Rockwell Automation, Sandvic, Rolfes Chemicals and Johnson Controls. 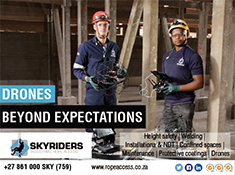 MechChem Africa talks to Clive Govender, MD of Rolfes Chemicals, about nanotechnology and how it is modernising the coatings industry. A SICK Automation LiDAR sensor was used to build a winning robotic platform in the prestigious Drexel University’s annual College of Engineering (CoE) senior project design competition. 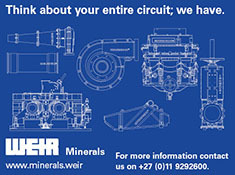 MechChem Africa presents some recent success stories from SEW EURODRIVE that demonstrate the flexible use of its drive technology in satisfying a wide range of customer-specified outcomes. 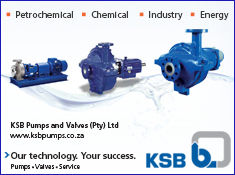 With service centres situated at all local branches around South Africa, KSB SupremeServ is an expanded aftermarket service for the company’s 22 000 pump variants and includes dedicated walk-in-centres for on‑the‑go‑services. MechChem Africa talks to A-Gas sales manager, Mike Labacher, about current trends with respect to refrigerants and the need for more responsible lifecycle management of these gases.